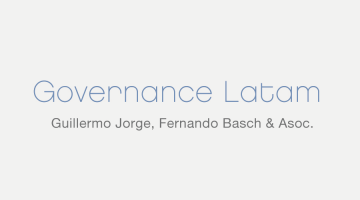 Guillermo Jorge is the founding partner of Governance Latam in Argentina. Founded in 2003, the firm focuses its practice on anti-bribery and anti-money laundering, prevention and enforcement, and has extensive experience in transnational asset recovery litigation on behalf of victims of fraud and corruption. 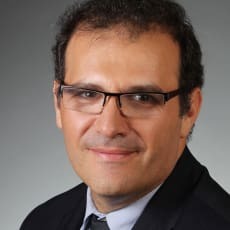 Guillermo is the Argentinian member of ICC FraudNet, the world’s leading asset recovery legal network, which is sponsored by the International Chamber of Commerce, and he has served as an expert on several working groups at the United Nations and at the World Bank in the field of asset recovery. He wrote the chapter on asset recovery for the Technical Guide to the UN Convention against Corruption and the handbook on asset recovery for APEC, the Asia-Pacific Economic Cooperation. Guillermo has also conducted scoping missions for the Stolen Asset Recovery Initiative in Argentina, Peru and Paraguay, and has collaborated with several of the Initiative’s publications, including The Asset Recovery Handbook, The Puppet Masters, On the Take: Criminalizing Illicit Enrichment To Fight Corruption, and Identification and Quantification of the Proceeds of Bribery. Guillermo is the author of Recuperación de Activos de la Corrupción, the first book on corruption asset recovery published in Spanish (Editores del Puerto, Buenos Aires, 2008), as well as several articles. He is currently a global adjunct professor at New York University and a senior researcher at the Center for Anticorruption Studies at San Andrés University.